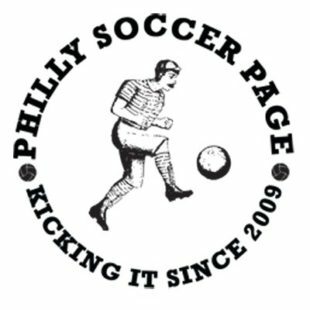 The Philly Soccer Page is the local soccer sports section you wish your newspaper had. PSP’s writers and photographers follow the game at all levels, from Philadelphia’s local leagues and pickup games on up to Philadelphia Union, the Philadelphia Independence, and the U.S. national teams. We play in pickup games and leagues around the area, watch the sport in local soccer pubs, and look to support it however we can. Basically, if it’s soccer and it’s in the Philadelphia area, we’re interested, whether it’s in Cape May or Reading, Philadelphia or Chester. This site was started by players in the Casa Soccer League in Philadelphia, and now our contributors and readers come from across the soccer spectrum and have one thing in common: An interest in soccer in the Philadelphia area. We’re always looking for information on local soccer events, so if you know of something going on, please let us know. Likewise, if you’re interested in becoming a regular contributor to the Philly Soccer Page, give us a shout. We are very fortunate to have gifted photographers on our staff. Other websites are welcome to use those photographs, although we ask that you credit the photographs in the following manner: “Photo: John Smith (for example)/Philly Soccer Page.” If you do use our photographs, please let our editor know at dwalsh@phillysoccerpage.com. We are an all volunteer website — no one gets paid here — so we do appreciate knowing you have enjoyed our work. PSP partners with KYW Philly Soccer Show podcast. We also partner with Philly.com, the website of the Philadelphia Inquirer and Daily News, to provide soccer content, and with the Southeastern Pennsylvania Soccer Hall of Fame, Eastern Pennsylvania Soccer Association, and Eastern Pennsylvania Youth Soccer Association.